Make of imported food-grade silicone. Soft, can protect oral hygiene, clean simple. 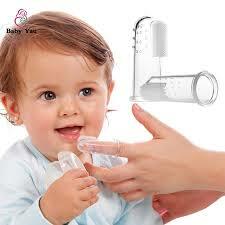 Put your finger into tooth brush, slightly clean the baby's mouth.